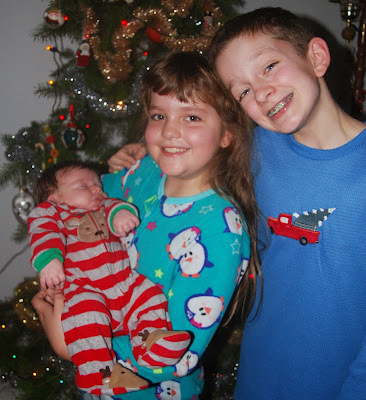 Being Frugal and Making It Work: My Favorite Christmas Tradition - Christmas Pajamas! My Favorite Christmas Tradition - Christmas Pajamas! 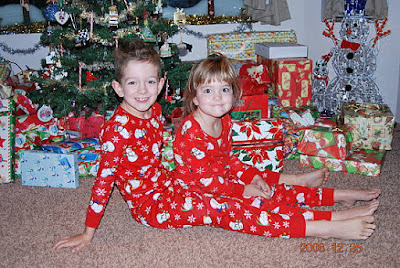 Every year since my children were born (they will be 10 and 12 this Christmas), I have bought them NEW pair of Christmas pajamas to wear on Christmas Eve. It's a Christmas tradition that I look forward to every year! They don't get to see them or wear them before Christmas Eve. Not only do they LOVE getting their new jammies but it's perfect for Christmas morning photos. What a great Christmas tradition! Those are the traditions that make memories.